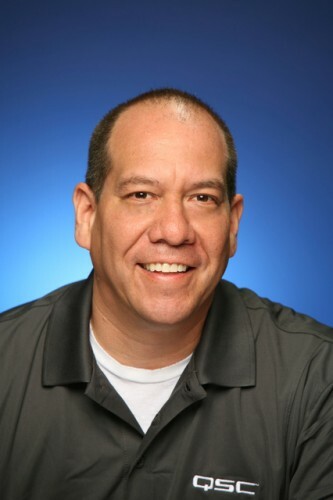 As the company continues to expand its talented team of professionals to meet growing market needs, QSC Audio Products LLC, has announced the appointment of Phil Sanchez to the newly created position of Senior Communications and Public Relations Manager. In his new role, Sanchez will be responsible for driving QSC messaging, developing and strengthening mutually beneficial media partner relationships, and seeking opportunities to promote the QSC brand across a wide range of media worldwide. "I am incredibly pleased to have Phil on our Marketing Communications team," says Ray van Staten, QSC Senior Director, Marketing Communications and Training & Education. "His diverse experience and wealth of product and industry knowledge make him ideally suited for this role." Sanchez joined QSC more than three years ago, serving as a product manager with focus on loudspeaker products. Prior to QSC, Sanchez served as a product manager for commercial / installed sound products at JBL Professional as well as marketing manager at TASCAM. He began his audio career at Fender Musical Instruments where he served as a technical writer. "QSC has long been known as an industry leader, providing audio professionals with the finest solutions available in the market," states Sanchez, Senior Communications and Public Relations Manager at QSC. "I look forward to the challenge of promoting and helping shape the QSC brand worldwide."